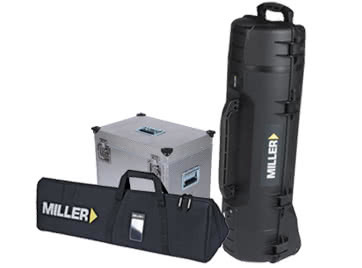 Comes with Mid-level ground spreader and rubber feet. 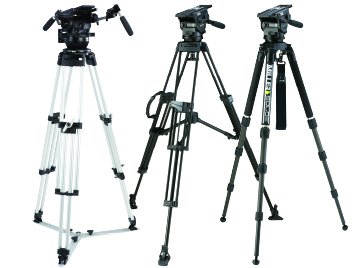 The 3780 CX18 Sprinter II 2-stage (carbon fibre) tripod system combines the 1576 Sprinter II tripod and CX18 fluid head for fast and easy set-ups. 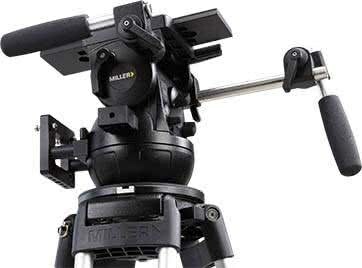 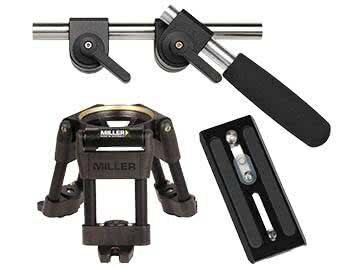 Designed for the creative professionals needing a stable, higher capacity solution, it is capable of balancing from a broadcast down to a DSLR camera, thanks to CB PlusTM technology and Miller’s precision fluid drag system. 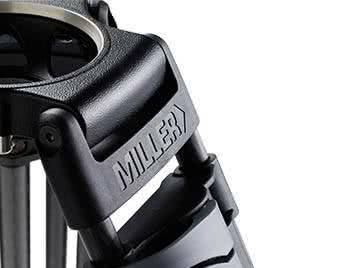 The CX18 employs CB PlusTM technology providing 16 positions of counterbalance, 5+0 settings of Miller’s fluid pan and tilt drag with 60mm of camera plate travel, enabling you to match your camera configuration to any shot. 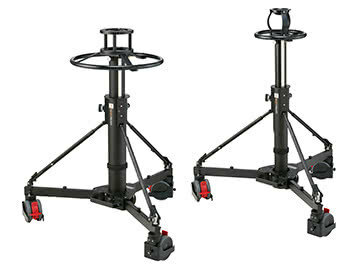 The CX18 is matched with the 2-stage Sprinter II (carbon fibre) tripod and mid-level spreader providing speed of set-up and incredible height range all in a light weight carbon fibre system.